Sunday, November 18, 2018, will forever be a historical day for First Baptist Church Umatilla. Sunday was the first day in years that the church gathered together outside in one service. Two thousand chairs were rented and almost every seat was filled with families from First Umatilla and a sister church Jerusalem Worship Center that meets in the old church building on Orange Lane in Umatilla. 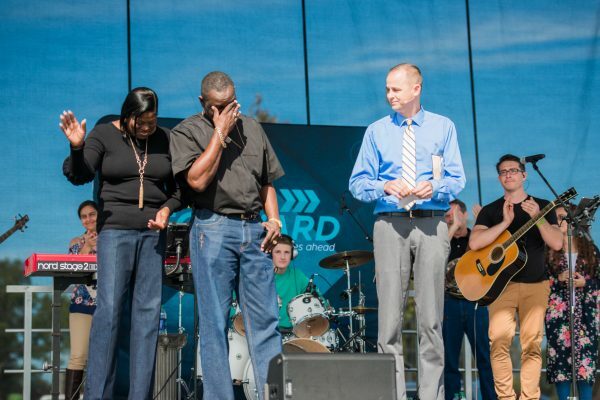 This service was the start of a campaign to build a new 1,200 seat worship center on our 17-acre campus. The music was excellent, the Gospel was given, and a vision was cast for First Baptist Umatilla as we reach forward to the years ahead. As a special event during our service, Jerusalem Worship Center joined us in worship. 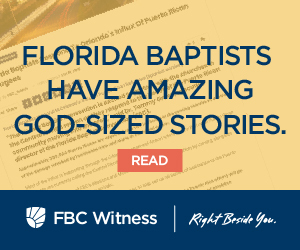 “I ripped up their mortgage in front of all 1,800 in attendance and it was like heaven opened up in that moment and God’s presence filled the air,” Braswell said.